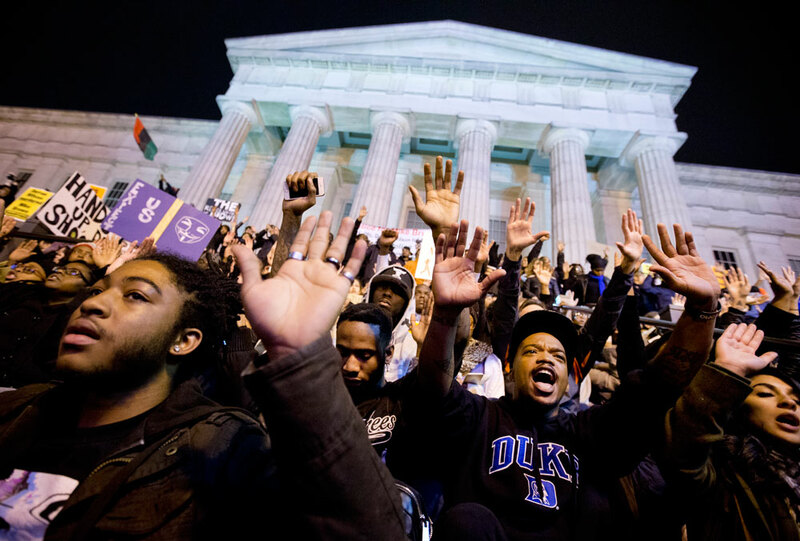 What Does It Mean When ‘Hands Up, Don’t Shoot’ Doesn’t Hold Up? Jonathan Capehart dares to ask, and too many on the left don’t want to hear about it. When the Department of Justice released two reports on Ferguson, Missouri, I, like many on the right and the left, pretty much ignored one and devoured the other. I minimized in my own mind the report showing that the DOJ not only didn’t have a case against Officer Darren Wilson for killing Michael Brown, but that Brown’s hands were not in the hands-up surrender position. Instead, I focused on the second report that excoriated the Ferguson police department and courts for long-held abusive, racist practices. After all, I figured, Fox and the entire right would exploit the Wilson report and ignore the one on Ferguson. It hurts to type these words, but I was like Fox. Years of mistreatment by the police, the courts and the municipal government, including evidence that all three balanced their books on the backs of the people of Ferguson, were laid bare in 102 damning pages. The overwhelming data from DOJ provided background and much-needed context for why a small St. Louis suburb most had never heard of exploded the moment Brown was killed. His death gave voice to many who suffered in silence. Capehart calls hands up a “lie” (it was sparked by Brown’s companion in the incident, Dorian Johnson), but keeps it in context. Yet this does not diminish the importance of the real issues unearthed in Ferguson by Brown’s death. Nor does it discredit what has become the larger ‘Black Lives Matter.’ In fact, the false Ferguson narrative stuck because of concern over a distressing pattern of other police killings of unarmed African American men and boys around the time of Brown’s death. It is telling that this heated discussion wasn’t on MSNBC, which, except for Joe Scarborough’s Morning Joe, had been firmly wedded to the “hands up, don’t shoot” narrative (as have most of us at The Nation). Even Capehart seems to avoid the controversy when on MSNBC. Sub-hosting on Hardball last night, he referred to the flak he got for the piece, but didn’t quite address the actual lie at the center of the flak. And of course the movement is larger than the question of whether Brown’s hands were up, down or fisted, whether he charged at or tried to surrender to Wilson. So when those Rams players put their hands up in solidarity with the Ferguson protesters, a gesture that so infuriated Joe Scarborough, that was no lie. The slogan “Black Lives Matter” goes to a truth, shown again and again, that millions of whites in the United States believe that black lives are expendable. Many indeed see blacks as target practice, like this gun seller at a South Dakota gun show, selling this atrocity. But just as Michael Brown doesn’t have to be “the perfect victim” to trigger righteous protests, so Jonathan Capehart doesn’t have to write the perfect, left-pleasing piece without being called a sell-out to his race. What he did is a necessary and healthy corrective. No conservative on earth should feel comfortable with the way the Ferguson PD has been operating for years, even according to their own documents…. Wolf is getting both trolled and applauded from his side, too.